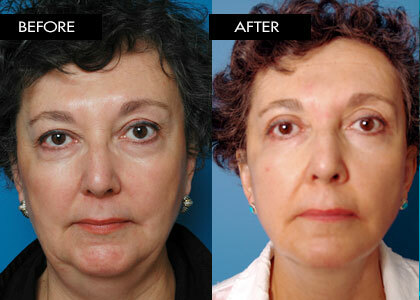 Most patients present after the late forties for lower facelifting. 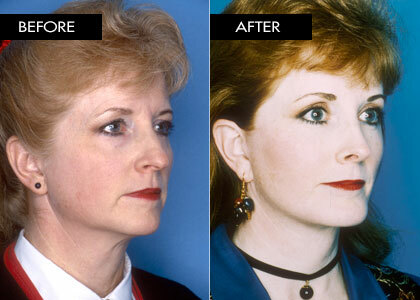 Weight gain and loss or just normal aging and gravity changes can lead to loss of skin elasticity of the face and neck, which can be repaired by a facelift. 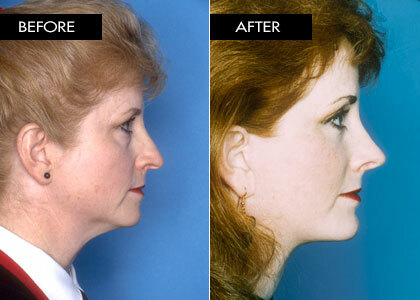 Men or women who intend to lose a lot of weight should postpone the surgery, as weight loss can drastically change the appearance of the face and neck. As for any procedure, patients are better candidates if they are near their "goal" weight. 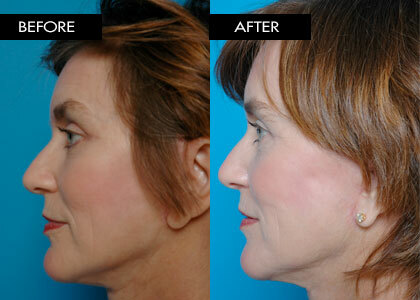 The traditional facelift addresses aging of the midface (cheeks), lower face and jawline, as well as aging of the neck. 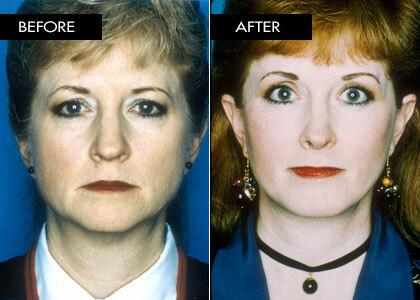 Laxity of skin and soft tissue in these areas causes hollows below the eye, folds outside the moth, "jowls" along the jawline, and looseness of neck tissues causing the "turkey gobbler" appearance. 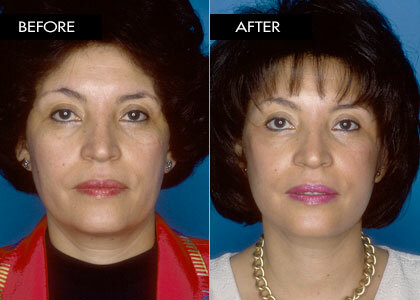 These aging changes are a natural and progressive process due to gravity and loss the skin's tone and elasticity. 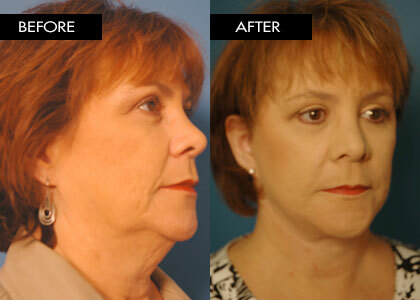 The facelift redrapes and resuspends the skin of the lower portion of the cheeks and face, softening the creases and tightening the skin. 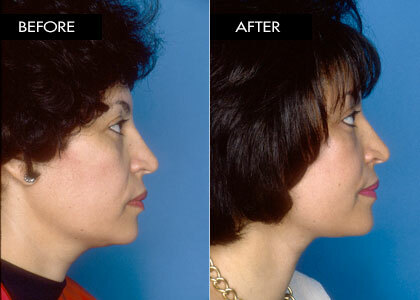 The definition of the jawline and angularity of the youthful neck are restored. 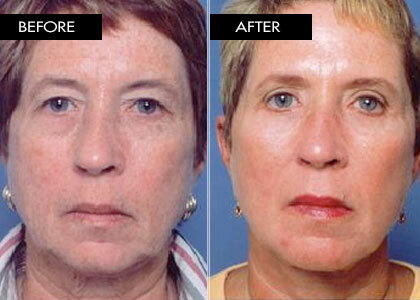 The most natural and long-lasting results are provided when more than just the skin is tightened. 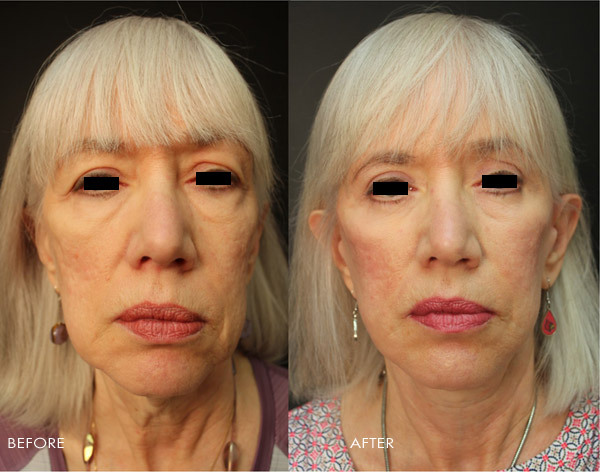 The layer of tissue directly under the skin and fat and over the facial muscles, called the SMAS, can be used for most of the tightening or fixation, to give strength to the lift and prevent a patient from looking too stretched or tight. 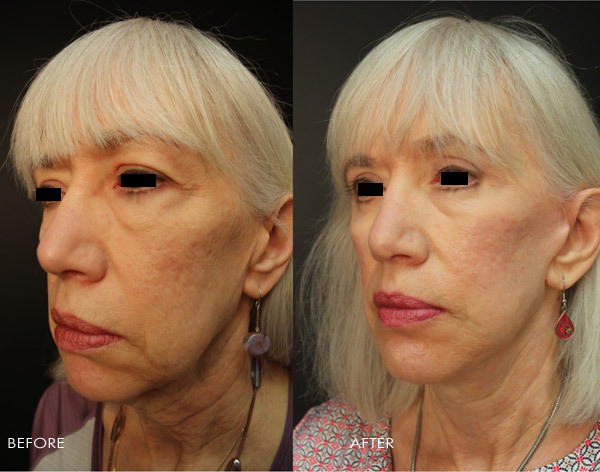 By doing more than just a skin lift (an older technique), a patient can look like a younger version of themselves and not have to re-tighten things nearly as often. The deeper layers of the face do not age as quickly as the skin, so that by rejuvenating a face with the "deeper plane" SMAS lift first, it may be possible to later perform only a skin tightening procedure as a secondary lift. 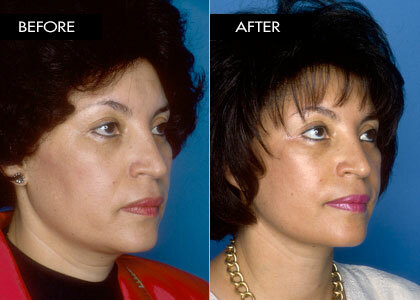 A facelift will not change the skin tone or texture that exists prior to a facelift; however, skin treatments such as Profractional (boosting collagen growth for fine lines and wrinkles) and laser resurfacing (acne scars, large pores) are available to assist with changes in skin tone and texture. Additional facial treatments, such as Botox or collagen injections may be used to help soften the wrinkles, furrow, or laugh lines after a facelift. A small incision is also made under the chin to tighten the neck tissues and muscles and the perform a limited amount of liposuction of the jowls. 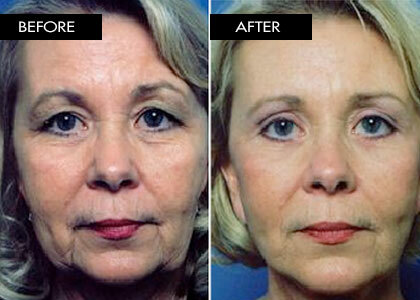 A facelift usually takes four to five hours, depending upon the extent of work required. 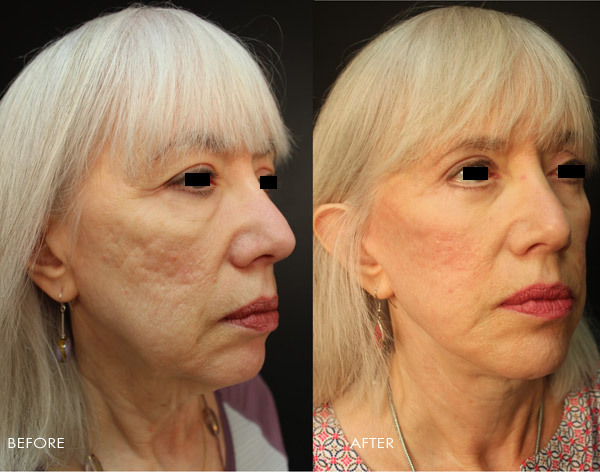 The additional time that it takes is due to the technique of tightening the SMAS layer of tissue to give you an elevated cheekbone and decrease the chance of needing a revision. The incision usually begins behind the ear and runs down the ear hugging the lobe and is placed inside the tragus (inner part of the ear). Multiple sutures are placed at this incision sight. The incision continues into the hairline where staples are placed. The sutures are removed at 5-7 days post-op and staples are removed at 10-14 days post-op. Your surgery will be done on an inpatient basis under general anesthesia with the most common choice being to stay one night at the hospital, allowing your blood pressure to be monitored in order to decrease post-operative bruising and swelling. You should arrange for someone to drive you home after surgery and to assist you in your immediate recovery period, which averages 10-14 days. 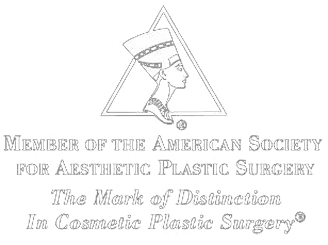 A Facelift may be performed at Jewish Hospital Downtown, Baptist Hospital East, Norton Suburban Hospital, or Alliant Medical Pavillion. The average recovery time varies but is typically 10-14 days due to minimal bruising and swelling. 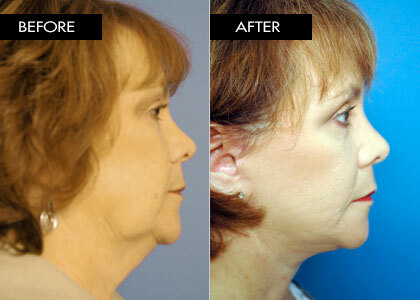 This swelling is dramatically improved with a chin garment that is worn for two to four weeks after surgery. 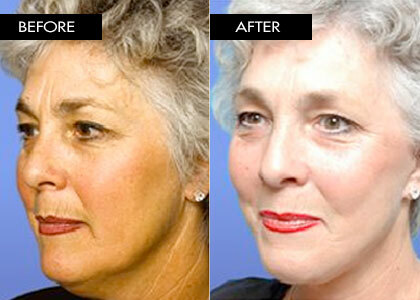 There will not be any drains to contend with, since Dr. Samuels using Tisseal during the facelift. Tisseal is a tissue glue that assists the sutures in holding the skin down and allowing it to properly redrape. Tisseal also decreases the amount of bruising and swelling post-operatively. Patients typically feel a sense of fullness or numbness that should gradually dissipate within a few weeks, once swelling is diminished. It may take you weeks or months to feel like yourself again. Most people return to work after two weeks; however, this doesn't include jobs with large amounts of physical activity. Exercise may be performed after four weeks, but strenuous exercise needs to be postponed for six weeks. You may returning to coloring your hair approximately six weeks after surgery. Your scars will take approximately three to six months to fade and flatten out, however, you may cover them with make-up after the sutures have been removed.